America’s pedestrians are dying at the highest rate in 30 years – killing over 6000 last year – with distracted driving being a key factor, and the Governors Highway Safety Association (GHSA) reports the growing sales and design of SUVs and trucks and poor infrastructure also contributed to the death spike. 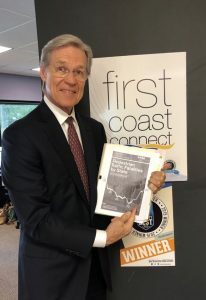 Wayne Hogan appeared on First Coast Connect today during Distracted Driving Awareness Month to explore the connection between pedestrian fatalities and distracted driving. The GHSA report found that, while deaths on US roadways decreased during the past decade, pedestrian deaths are the highest since 1990. Florida ranked #2 in nation for pedestrian deaths during the first six months of 2018, with 330 deaths. 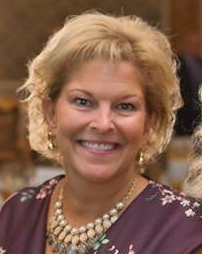 And Florida was among five states – including Arizona, California, Georgia and Texas – comprising almost half of pedestrian deaths from January-June of 2018. With the explosion of cell phone usage (500% increase in cell phones and 4000% increase in data usage) and dashboard screens, there is more need than ever for employers to have distracted driving policies in place and for drivers to be educated about the risks and consequences of distracted driving. Hogan stressed that our only job behind the wheel is to drive, to get from point A to point B safely. Research proves our brains actually switch from one task to the other, meaning that with phones and driving, we get tunnel vision and miss important visual cues. The brain focuses on the call, not on the driving. Brain distraction is essentially brain blindness; the eye sees but the brain doesn’t perceive. Hogan analogized it to having a giant cataract between the eyes and the brain. Studies suggests driving while on the phone, even hands-free, carries the same crash risk as driving drunk. He points out that when the Terrell Hogan personal injury and wrongful death law firm investigates traffic accidents, one of the first things is to get the accident report which will state whether the investigating officer believed any of the drivers were distracted. In serious injuries, and certainly with deaths, the officer typically asks to review the cell phone. If that’s refused, search warrants can produce the phone and the cell phone company records to determine phone use at the time of the accident. Even without that, the law firm can use subpoenas to get to the facts. The National Highway Traffic Safety Administration and the National Traffic Law Center recently brought together traffic safety experts to develop a monograph on prosecuting distracted driving cases for use by prosecutors and law enforcement. The team was comprised of prosecutors and law enforcement professionals from around the country with significant backgrounds in distracted driving enforcement, prosecution, and program management. It provides guidance to assist State and local attorneys, other members of the judiciary, and law enforcement in prosecuting distracted driving cases that involve serious injuries or fatalities. One text or call can wreck it all. 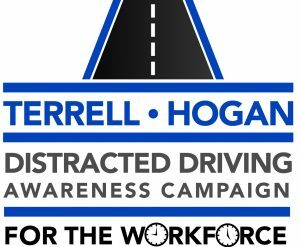 With the goal of help making our roadways safer, Terrell Hogan began offering free Distracted Driving Awareness presentations to students and adult drivers, and to company and non-profit policy-makers, in 2012. So far, nearly 10,000 people on the First Coast have been reached. To request a complimentary presentation for your high school or business or civic group, call (904) 722-2228.